Two advocacy groups in New Mexico filed a legal appeal Thursday seeking to undo a New Mexico Environment Department order that allows the Energy Department to change the way it records underground transuranic waste volume at its Waste Isolation Pilot Plant (WIPP) near Carlsbad. The Southwest Research and Information Center (SRIC) and Nuclear Watch New Mexico (NWNM) filed their notice of appeal in the New Mexico Court of Appeals to block the modification to WIPP’s state hazardous waste permit. While it technically takes effect this month, as a practical matter the new counting system won’t be instituted right away because DOE has not drafted its policy on implementation, said SRIC Administrator Don Hancock by email. A Dec. 21 order from then-state Environment Department Secretary Butch Tongate authorized DOE to stop recording empty spaces between container drums as waste. The order adopted the findings of state Hearing Officer Max Shepherd, who recommended waste volume counted against the disposal cap set by the 1992 WIPP Land Withdrawal Act should cover only the actual waste inside containers. “The modification is contrary to federal law, changes 20 years of practice in the WIPP Permit and operations, ignores the record in the proceeding including testimony in three days of hearings, and violates the New Mexico-DOE Consultation and Cooperation Agreement,” Hancock said in a press release. He called on New Mexico’s new governor and environment chief not to back the change in court, but rather overturn it. Given the official implementation date is Jan. 20, any administrative delay or rejection would happen soon, he added. Earlier in the week, Sen. Tom Udall (D-N.M.) urged New Mexico Environment Department Secretary-designate James Kenney, recently chosen by incoming New Mexico Gov. Michelle Lujan Grisham (D), to review the decision. Kenney, a former U.S. Environmental Protection Agency manager, has yet to say if he will take a fresh look at the order. In New Mexico, the secretary-designate can take action even before being confirmed by the state Senate, Hancock said by email. “I haven’t heard of any opposition to him, but that will be clearer when a hearing is scheduled” by the Senate Rules Committee, which would process the nomination. This accounting change would reduce WIPP volume from roughly half full to one-third full of the maximum of 176,000 cubic meters of defense-related transuranic waste allowed by the Land Withdrawal Act. 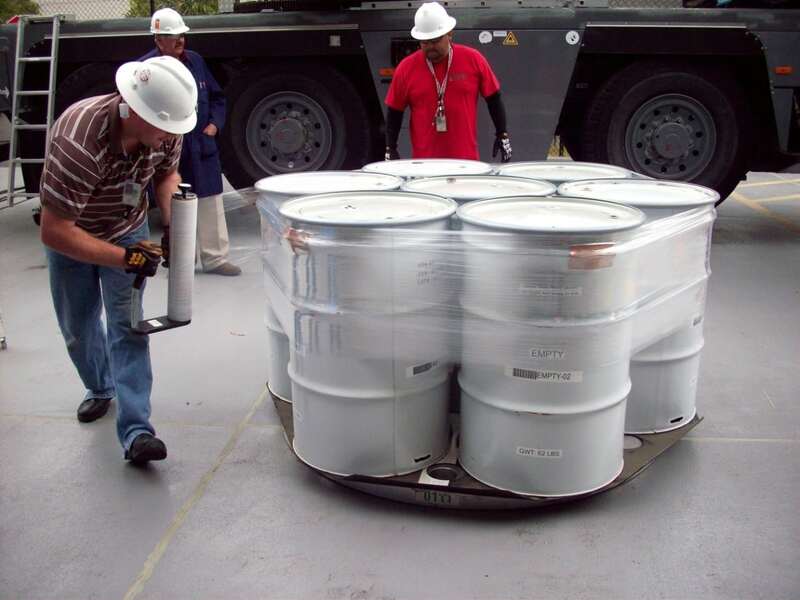 The Energy Department and WIPP contractor Nuclear Waste Partnership say this retroactive change will prevent “premature” retirement of the disposal mine because empty space and filler material are no longer counted as waste. The Energy Department could not immediately be reached for comment. “Rather than pursuing the permit modification, the Department of Energy should comply with the legal capacity limit and begin a public process to explain what additional waste it wants to bring to WIPP and how it intends to address the loss of disposal space that cannot be used because of the significant underground contamination,” said Scott Kovac, operations and research director of NukeWatch. With the cancellation of the Mixed Oxide Fuel Fabrication Facility in South Carolina, DOE proposes to ship 34 metric tons of surplus, diluted plutonium to WIPP. This proposal, however, remains largely unfunded. Kovac and other critics said the waste volume reporting is another facet in expanding the use of WIPP. “If New Mexico is being asked to take on additional waste missions beyond what is authorized by current law, New Mexicans need to have a say – and we should only agree to a new agreement that is in the overall best interest of New Mexico,” Udall said in his statement last week. The underground salt mine and waste disposal facility received 311 shipments of defense transuranic waste during 2018. May was the busiest month of the year, with 37 shipments. January, with two federal holidays and a two-week maintenance outage, was the slowest month in 2018 with only 14 shipments, according to a monthly summary from WIPP’s online database. The disposal facility averaged 25.9 shipments per month and just shy of six shipments per week for the 52-week calendar year. (The Energy Department calculates its weekly shipment rate based on 42 weeks of receiving waste, which excludes holidays, weather-related delays, and a maintenance outage). The Idaho National Laboratory was far and away the top shipper, with 243 in 2018. That was followed by 47 shipments from the Oak Ridge National Laboratory in Tennessee, 13 from Waste Control Specialists in Texas, five from the Los Alamos National Laboratory in New Mexico, two from Argonne National Laboratory in Illinois, and one from the Savannah River Site in South Carolina. WIPP was closed for nearly three years after a February 2014 radiation release, and 2018 marked its first full year since reopening of receiving TRU waste shipments. It resumed taking shipments of waste from DOE generating sites in April 2017 and received 133 by the end of the year. The Energy Department projects roughly 400 shipments for 2019. It could release a more detailed report on those expectation in coming weeks. By comparison, WIPP took in 724 shipments in 2013, its last full year or operation prior to the accident. Energy Department Carlsbad Field Office Manager Todd Shrader does not expect anything close to those numbers before a new underground ventilation system goes into operation in fall 2021. About 97 percent of the anticipated contact-handled TRU waste expected to eventually find its way to WIPP will come from large-quantity sites such as Hanford, Idaho, LANL, Oak Ridge, and SRS, according to DOE’s recently released Annual Transuranic Waste Inventory Report for 2018. Likewise, about 95 percent of the more radioactive remote-handled TRU waste is expected to come from these sites. The report dated November 2018 estimated there are currently 62,000 metric tons of contact-handled TRU waste at DOE generator sites that could be shipped to WIPP in the future. Likewise, 2,600 metric tons of remote-handled TRU waste are estimated to be at generator sites for future shipment to WIPP . The report lists 2033 as the current closure date for the facility for planning purposes only, although Shrader has said the actual closure date could be years later. The disposal site is currently conducting a maintenance outage from Jan. 7 through Jan. 27. The work includes inspection of the salt shaft, repairing a compressor at the salt hoist building and other chores.